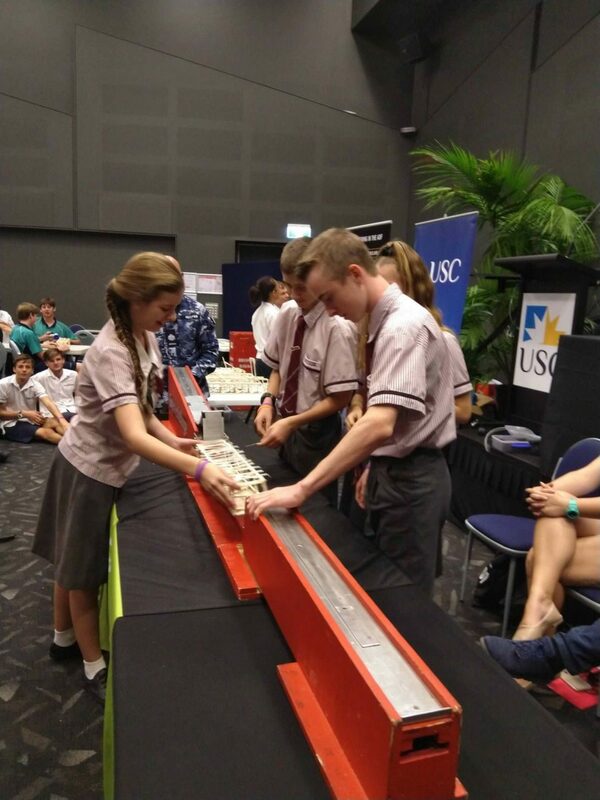 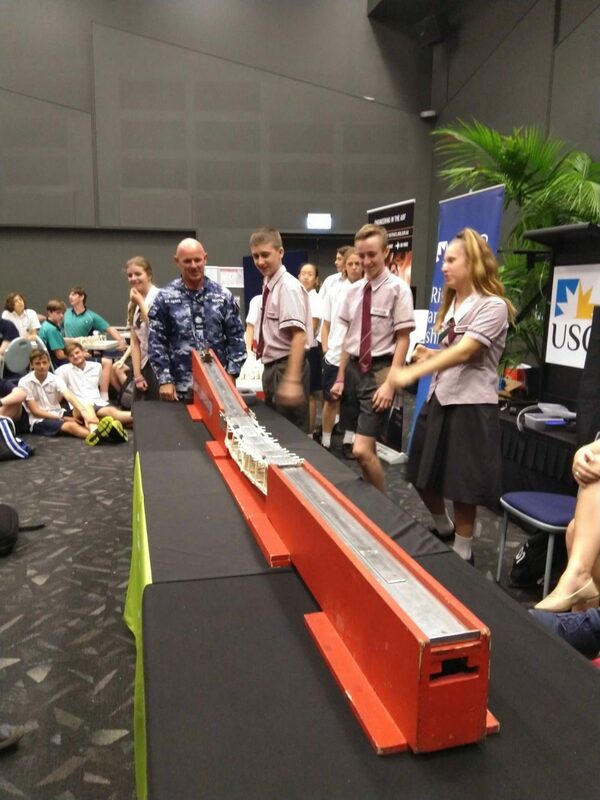 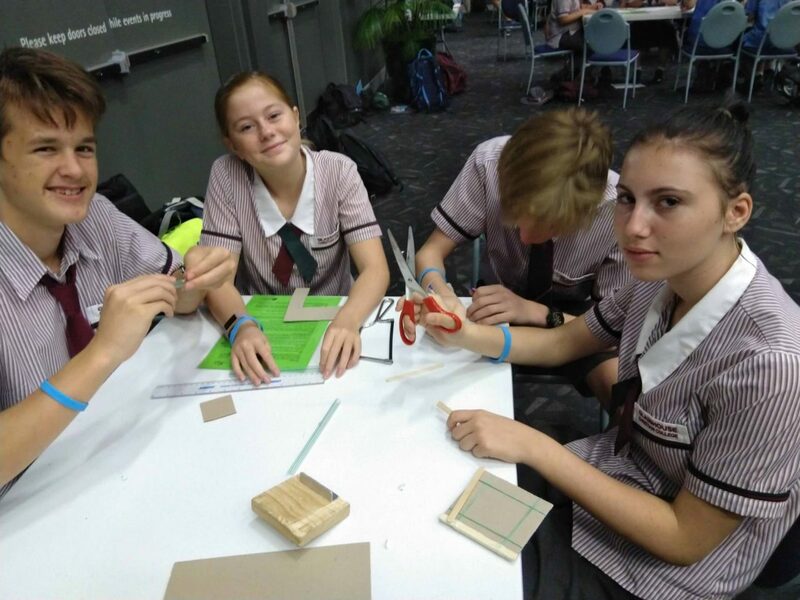 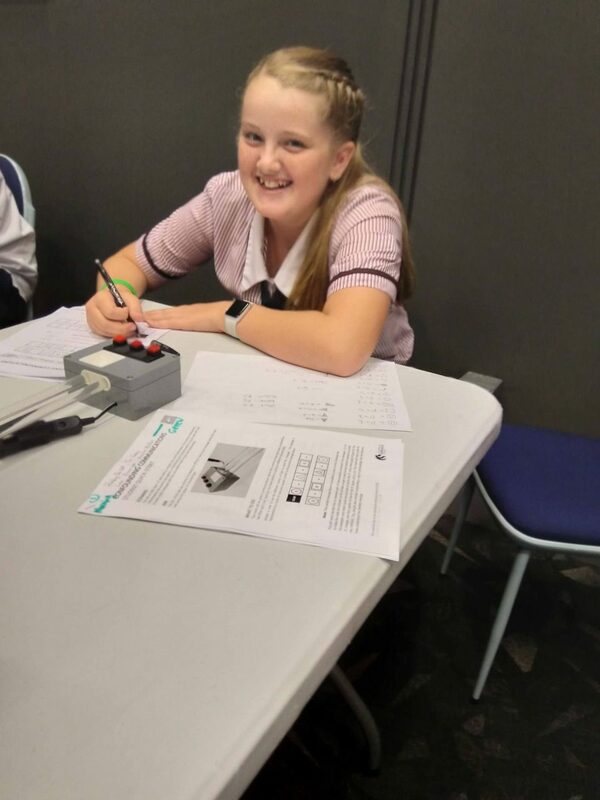 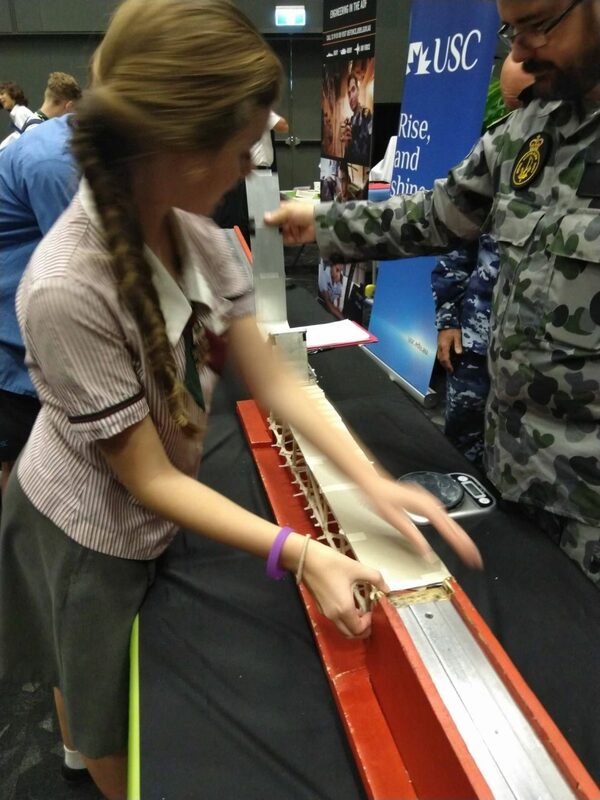 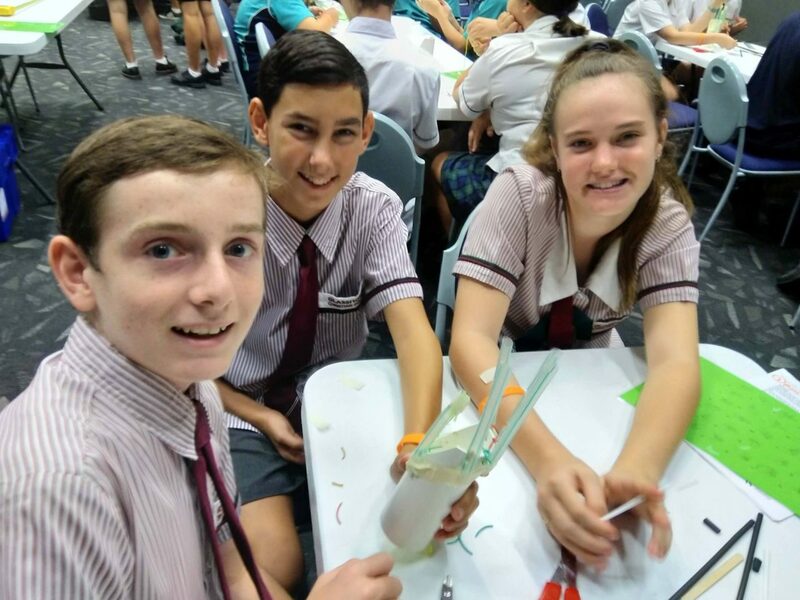 On Wednesday 13 March, 30 Year 9 Science students attended the annual Science and Engineering Challenge at the University of the Sunshine Coast. 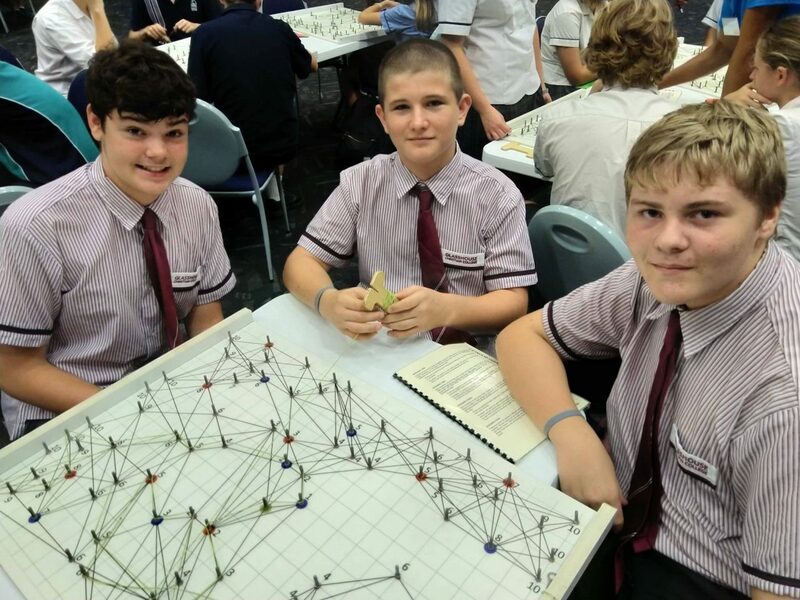 During the challenge the students competed in groups of three to four against seven other schools from the Sunshine Coast District. 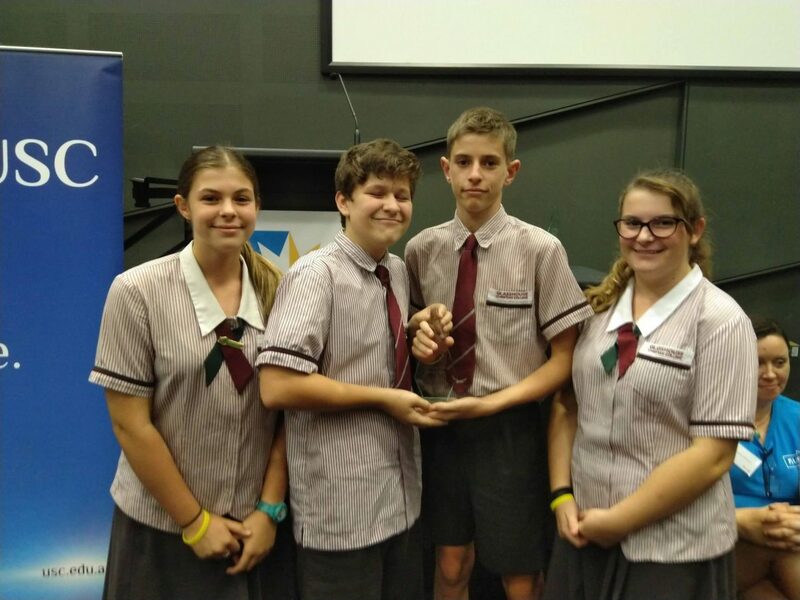 One of our groups received a trophy for winning the Return to Mars Challenge which involved the students constructing and testing the suspension system of a multi-terrain vehicle. 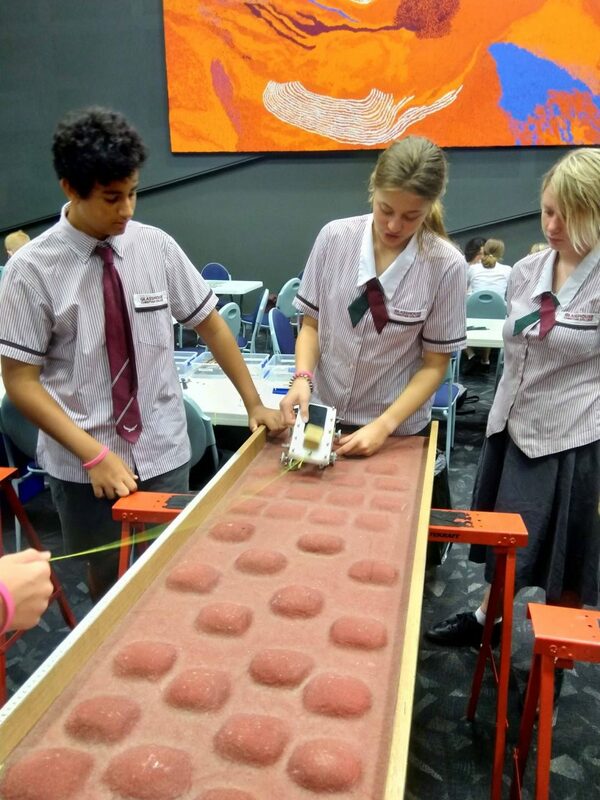 The group consisting of Jorja Goddard, Mitchell Tidy, Cara Bales and Charlie Fishwick created a multi-terrain vehicle that traversed the simulated undulating Mars surface in the fastest time. 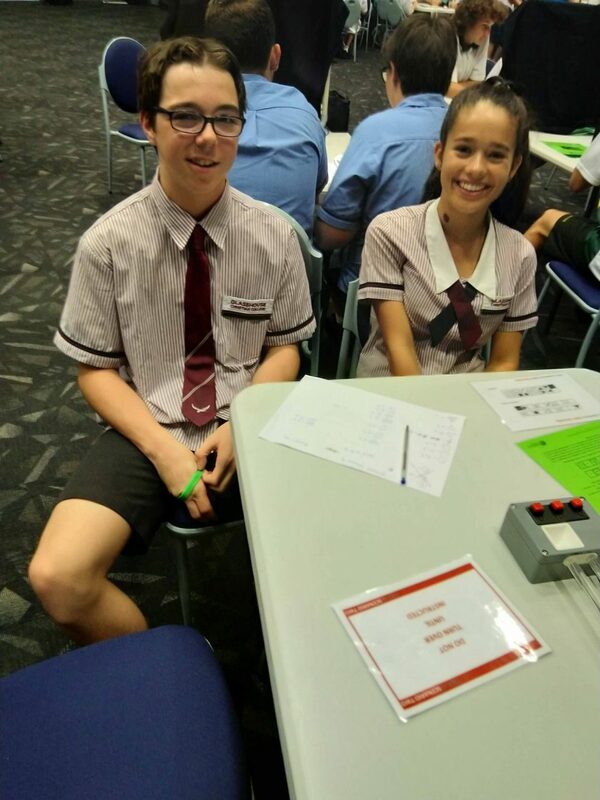 Overall GCC students ended up coming an admirable sixth place out of the eight schools that participated on the day. 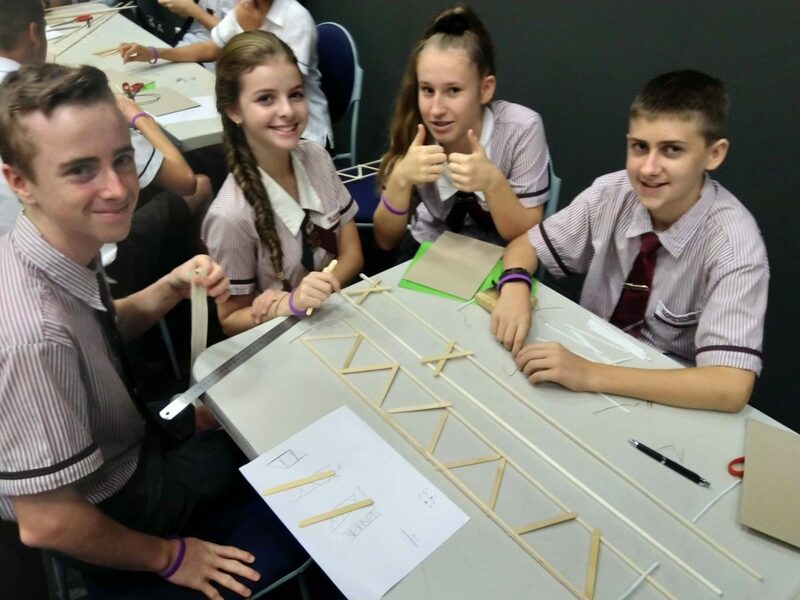 I would like to thank all the students who attended for their exemplary behaviour and enthusiasm throughout the challenge. 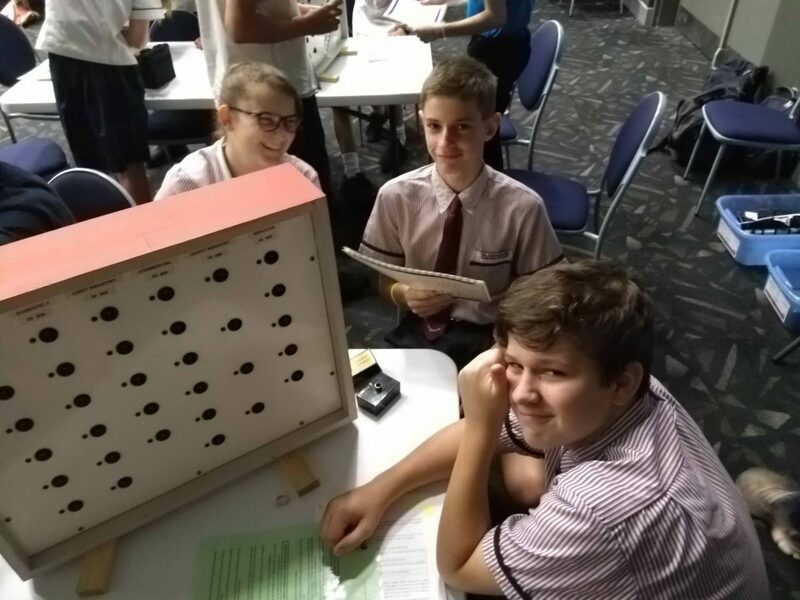 A special thanks also goes to Mrs Ritson for helping to supervise throughout the day. 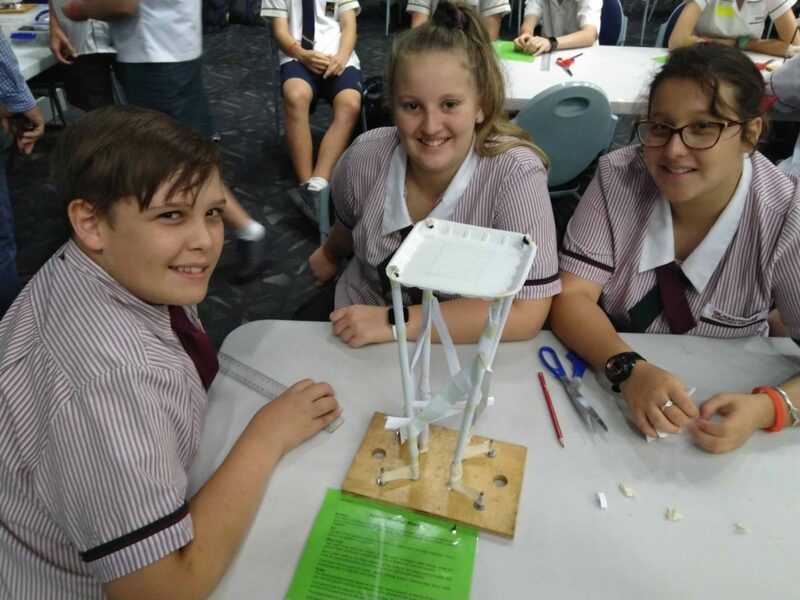 This entry was posted in Middle School News and tagged Science and Engineering Challenge, USC on March 18, 2019 by sandy.